The Moso Bag replaces traditional scented shoe fresheners that only cover up a bad odor. Traditional freshners only hide the odor, what you need is something that ERADICATES the odor. That’s why you need a Moso Natural Bag. Works perfect in shoes and gym bags. 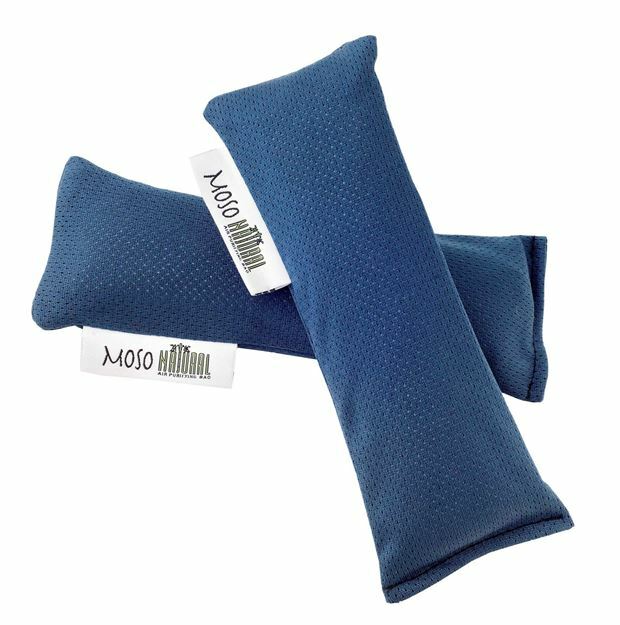 A Moso Natural Air Purifying Bag is a natural way to absorb everything out of the air. It contains one ingredient which is Moso bamboo charcoal. Bamboo charcoal contains millions of tiny little pores that can attract and absorb everything out of the air like a magnetic sponge. The Moso Bag can absorb odors, bacteria, chemicals and moisture. It is completely fragrance free, non-toxic, and lasts up to two years. The Moso Bag replaces traditional scented air fresheners that only cover up a bad odor and frequently contain dangerous chemicals such as formaldehyde and petroleum. So, the Moso bag doesn’t just cover up the bad smell, it actually ERADICATES it! To use, simply place the Moso Bags in or near the affected area. Within a short time (usually less than 1 day) the area will be fresh, dry, and odor free. Once a month, place your Moso Bag outside. Even on cold or cloudy days, the UV rays from the sun will clear out the pores of the bamboo charcoal, making it ready to absorb again. After two years as an air purifier, the Moso Bag makes a wonderful addition to your garden. Simply cut open the Moso Bag and sprinkle the bamboo charcoal into the soil. This completes its life cycle as a product that comes from the earth and ultimately gives back to the earth.